I had it in my hand, the Trustee certification for a club station for NG6O arrived by mail at the last day, and minute, from the FCC. 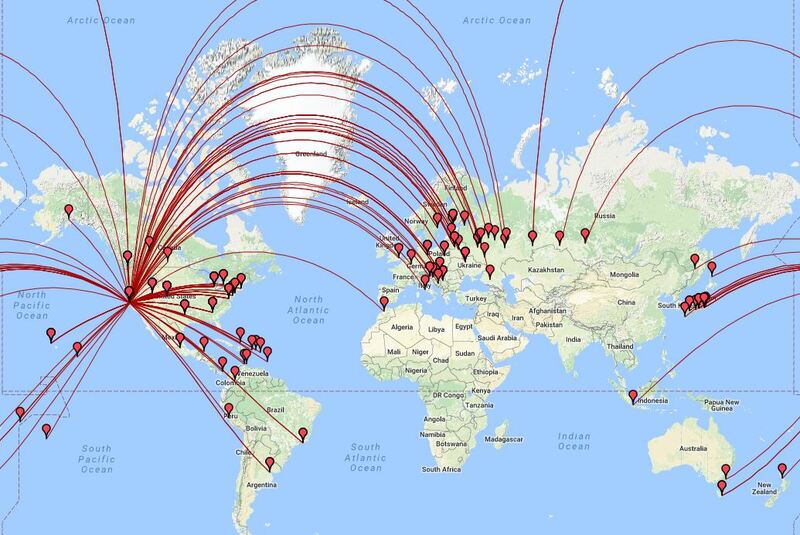 It was just in the nick-of-time to operate in the CQ Worldwide WPX CW contest, and run QRP (5 watts) where I was able to make an incredible 14,000 mile contact. And as Paul Harvey use to say, “And now, for the rest of the story”. I got my Extra License and wanted to have my father’s old call as my primary call, I previously wrote about my desire and the process to acquire one. To recap, just think; FCC paperwork, a little luck, and persistence! A list of available vanity calls, and instructions on how to go about the process in obtaining one, is on the W5YI website (http://www.w5yi.org ) as well as the ARRL web site. Some groups charge for this service, but there are ways in which you can apply and do not have to pay for this service. change of club name, a renewal of the license, recording meeting minutes, and establishing a new board of directors (real licensed folks). This took a few weeks to work through the red tape, and insure all forms and documents were in order for the FCC. Then the wait began for the approval. My home mail arrives generally about 3pm. This particular Friday’s it included my FCC authorization paperwork as the new Trustee of the new Club Call Sign NG6O. The clubs group is renamed to honor the SK, and is now known as the Fearless Radio Operating Group (FROG). I found myself pretty excited, until I realize that the CQ Worldwide WPX contest is starting at 5pm, in just a minutes. In order to use the new club call for this contest I had some configuration changes to make in the N1MM+ logging software to ensure that correct exchange information is sent. A bit of testing, and the start of the contest happens. Based on my schedule and limited time to operate, a snap decision for power choice (QRP, 5 watts or less), band (20 meters only), and class (Assisted to spot rare DX stations), I make my choice for the contest. Ok…, 5 watts QRP from the west coast may not be all that great of a choice for super DXing in contest situations, especially with the East Coast Wall of operators, and a majority of contesters running either Low Power (100W) or High Power (1500W), but as it happens that particular Friday night was some of the best propagation to Europe in quite a while. My expectations were low. However, even with my time limited and power, I was amazed at the addictive fun of making the best from a challenging choice. Each contact was well earned. 45 countries, 24 CQ Zones, 178 QSO’s (contacts) logged for the contest (the majority on Friday night), and the one monster long distant contact to North Sulawesi Indonesia. Thank you to the operator at the other end for staying with my repeated calls, and QSO clarifications. Those were good ears at 14,000 miles away. Here’s a map of some of my contacts. 14,000 miles on the power of a night light. And as Paul would say, “And now you know the rest of the story”! My many thanks and continued appreciation go to family and Ham friends of the previous club station owner of NG6O. I hope to represent well in future contests, and keep the call on the air for many years.